Perfect for all stamping needs, these 3 3/4 inch x 2 1/2 inch pads have washable, non-toxic inks. 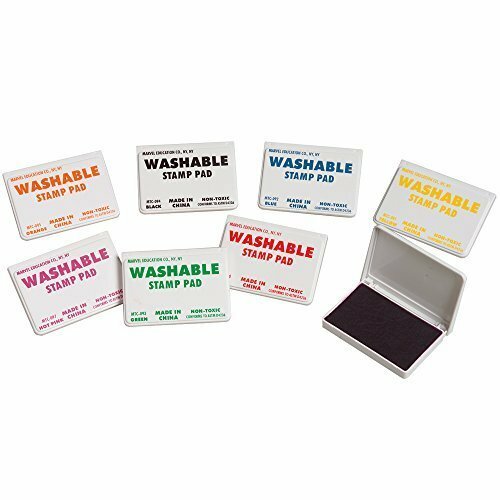 Set of 8 standard stamp pads including red, yellow, Blue, Lime black, orange, Purple and pink. Ages 3 Years. +. Educational Insights Alphabet Rubber Stamps - Lowercase 5/8"